1X Car Airbag Simulator Emulator Resistor Bypass SRS Fault Finding Diagnostic. The bumper protector spike protects your Smart car from possible light knocks and fender benders, while giving your car a bit of attitude as well. Genuine Smart Fortwo (451) Silver Brabus Gear Knob RefA451 267 00 11. Suitable for Various Smart 451 Fortwo Models. Pair of black leather door inserts in vgc. Genuine Smart Fortwo - Forfour "BRABUS" Stainless Steel Door Sill Inserts - P/NA4536808904. Suitable for all Smart Fortwo and Forfour (453) Models. For 2009-2014 Smart Fortwo / Fortwo 451 Series. 1Pc Silicone Gear Knob Cover Shift Skin Case For Benz Smart Fortwo 2009 -2014. 1x Gear Knob Cover. High quality food level and eco friendly silicone, odorless and no toxic. Easy setup. All you need is a 21mm hole and the switch will sit in nicely;no more square cut outs. 2 poles design for (On/Off) 3rd poles with LED to be connected to earth. Light colour: Blue LED light. Material: Aluminium & Plastic. Fashionable and durable. Quantity: one set (3pcs). For SMART FORTWO 450 451 Series 1998-2014. Dashboard Cover. 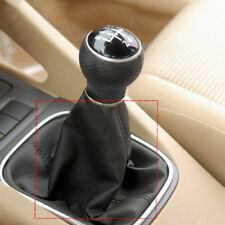 1Pc Silicone Gear Knob Cover. Key Cover / Key Fob Case. Jeep Renegade BU. Front/Rear Wiper Blades. Door Lock Buckle Cover. Ending Soon. Material: Aluminium & Plastic. Fashionable and durable. Quantity: one set (3pcs).50 Australia £5.50. SMART FORTWO ROADSTER 451 & 450 AUTOMATIC GEAR KNOB LEATHER . Complete with side button for soft touch gear changes. If you car doesn't currently have this feature it may need coding and wiring to fit. Some wear to the leather. This action for One Storage Compartment For Smart Car Fortwo 453 - Interior Center Console Black Features: If you need an accessible place to store your Smartphone or sunglasse or any personal belongings this Storage Compartment is a great solution for every ride. No any modification required to install our product.Install directly between your handbrake and shift knob console. This is completely integrated into the original gap, and won't affect any original feature or functionality e.i releasing handbrake or any gaps in your console which will all keep the same. (1) Smart Car Smart Phone Bracket Holder Universal Kit For 14'-up Smart Fortwo / Forfour 453 C453. 2014-and up Smart 453 MK3 Fortwo Forfour. Cab Roof Light. If you need an accessible place to your cell phone or Smartphone, this holder bracket is a great solution. Material: Aluminium & Plasti. Fashionable and durable. BLACK Colour option. Quantity: one set (3pcs). For Sale is a 2006 SMART FORTWO / SMARTCAR Black Heated Front Seats. Features Include: Front Seat Airbags, Manually Adjusted Front Seats. Heated Front Seats. Please see item description for more information you will receive everything you see in the images. Genuine Smart Fortwo (451) Silver Brabus Gear Knob P/N A451 267 00 11. Suitable for Various Smart 451 Fortwo Models. Has button on side for soft touch function. Can't Find What Your Looking For?. THIS COVER WILL FIT SMART FORTWO (CITY COUPE) 1st GENERATION (W450) FROM 1998-2006. SMART FORTWO MK1 (W450) 1998-2006. VERY HIGH QUALITY CUSTOM MADE FITS PERFECT LIKE A GLOVE HANDCRAFTED WITH TOP GRAIN LEATHER. 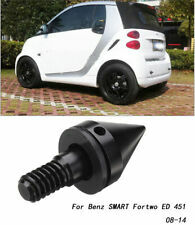 FITS SMART FORTWO PASSION CITY 451 2007-2010 model only. Black leather black stitching. And what you will receive is only the leather part. SMART FORFOUR (2004-2006). Box contains: 1 x Gear Gaiter. Leather Colour: Black. We specialize in customisation of car interior but also in creating unique and personalized products made of genuine leather or suede material. SMART FOR TWO CITY PASSION PULSE 1998 to 2007. Black leather grey stitching. Smart 451 brabus/gb10 alloy Handbrake with alloy button, complete with red leather Handbrake gaiter. This is a very rare product only 100 gb10 models ever made. FITS SMART FORTWO 451 2007-2014. black leather grey stitching. And what you will receive is only the leather part. SMART FOR TWO 451 CITY PASSION PULSE 2008-2012 models only. Black leather white stitching. And what you will receive is only the leather part. SMART FOR TWO CITY PASSION PULSE 1998 to 2007. Black & red 2 tone leather. And what you will receive is only the leather part. Genuine Smart Fortwo Forfour (453) BRABUS Automatic Models Gear Knob P/NA4532770100. Suitable for Various Smart 453 Forfour and Fortwo Models. Matt aluminium with real leather trim lends the interior a more sporty and elegant touch – also goes perfectly with the BRABUS hand-brake lever. FITS SMART FORFOUR 2004-2007. Black leather black stitching. And what you will receive is only the leather part. FITS SMART FORTWO 450 1998-2007. Black leather white stitching. And what you will receive is only the leather part. SMART FOR TWO CITY PASSION PULSE 1998 to 2007 models only. Black leather with white stitching. And what you will receive is only the leather part. Unique vest shape. 2017 on (incl. Hatchback). Convertible,Coupe). 2005 on (incl. 2004 on (incl. Convertible). Gives your car a new fresh look. 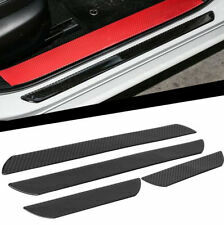 FITS SMART FORTWO 451 2007-2014. black leather red stitching. And what you will receive is only the leather part. SMART FOR TWO CITY PASSION PULSE 1998 to 2007. Black leather black stitching. STEERING WHEEL COVER You will be supplied with: 1x Steering Wheel Cover Colour: Black-Black Material: Soft Leather LookDiameter Size: 14.5" - 15" (37cm - 39cm)Non Slip Easy to slip on Stylish design that adds comfort and styleOriginal steering wheel wear preventionHides scuffs from damaged wheelsPlease: Take time to measure your steering wheel making sure it will match the size listed aboveFast Dispatch PLEASE NOTE Important notice BEFORE ordering Please DO NOT rely on the compatibility list to make your decision of parts, as cars come with many variations and fitments on the same make and models. Check things like dimensions size and other stated fitment criteria prior to ordering to make sure you get the correct part as vehicle parts can have more than one option due to. SMART FOR TWO CITY PASSION PULSE 1998 to 2007 models only. Black leather black stitching. And what you will receive is only the leather part. FITS SMART FORTWO 451 2007-2014. Black leather with red stitching. And what you will receive is only the leather part. FITS SMART FORTWO 450 1998-2007. Black leather black stitching. And what you will receive is only the leather part. Black leather with blue stitching. And what you will receive is only the leather part. Easy to fit. It takes you about 50 mins. You need to put the cover on the steering wheel and sew it on. BLACK REAL LEATHER CAR STEERING WHEEL COVER FROM ONE PIECE OF LEATHER. This leather cover will improve the appearance making, your steering wheel look like new again. New listing2 CARBON Seat Belt Pads 4 dust valve caps 1 keyring fits Smart Car + FREE GIFT! Deluxe Black Carbon Fiber Pattern Seat Belt Pads. PU CARBON FIBER PATTERN. VELCRO FASTENING FOR EASY INSTALLATION. EMBROIDERED WHITE/YELLOW SMART LOGO & WHITE LETTERS. UNIVERSAL FITTING SEATBELT PADS. FITS SMART FORTWO PASSION CITY 451 2007-2010 model only. Black leather orange stitching. And what you will receive is only the leather part. 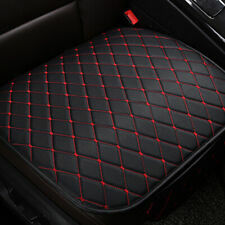 Luxury Quilted Protective Front Car Seat Cover. Fantastic looking LUXURY QUILTED fabric. Contains 2 x Front seat covers - which fit over the headrest and covers the whole seat. WATER RESISTANT and can be wiped with a cloth. FITS SMART FORTWO 451 2007-2014. Black leather with white stitching. And what you will receive is only the leather part. SMART FORTWO MK1 (W450) 1998-2006. THIS COVER WILL FIT SMART FORTWO (CITY COUPE) 1st GENERATION (W450) FROM 1998-2006. Motorcycle seat strap cover. VERY HIGH QUALITY CUSTOM MADE FITS PERFECT LIKE A GLOVE HANDCRAFTED WITH TOP GRAIN LEATHER.